"This so called Teal blue colour was introduced in early1956 on the Austin Healey Hundred, series BN2. In fact in early January 1956 they seemed to introduce a number of new colours as a bit of an experiment, to see what the public's reaction might be. For example with exterior colours, Spruce Green was dropped and Florida Green was introduced. Carmine Red was dropped and Reno Red was introduced." Below is photo of a car with a build date of January 9 1957 taken by Rich at the 2010 Conclave. At present this is the latest date we have for a car with a Teal Blue interior. 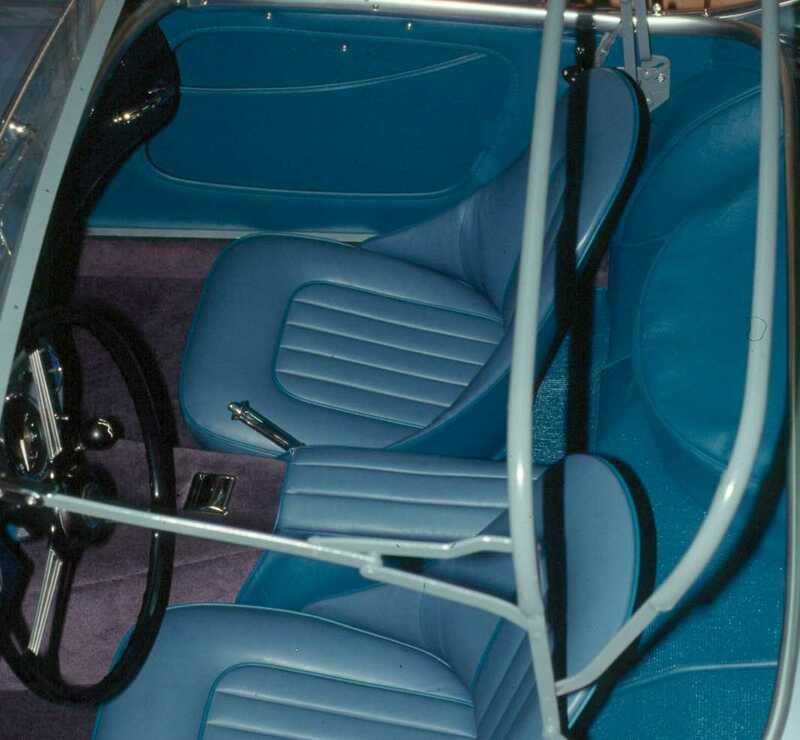 If you own a very early Longbridge BN4 and you want to be absolutely correct and certainly different from the crowd, then you should consider the Teal Blue Interior as this is the correct colour for Healey Blue or Healey Blue and Ivory White cars produced from BN4 introduction up to very early in 1957. Rich Chrysler explains the background to this interesting and very rare interior colour. The photos show similar patterns of fading and colour change to those in the other cars. The sidescreen bag and the underside of the armrest are probably still quite close to the original colour as they will not have been exposed to sunlight whereas the seat leather has brightened and the seat vinyl has taken on the sludgey grey appearance. It would appear that Teal Blue did not last very long in Austin Healey production and the reason was probably that it was impossible to get dyes in that colour which didn't change alarmingly when exposed to sunlight. 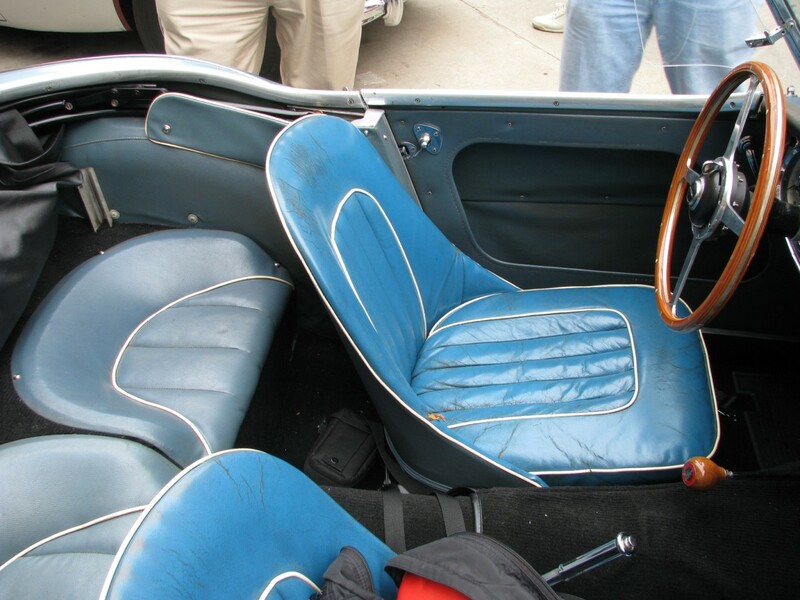 Certainly the Navy Blue interiors which replaced the Teal show no signs of weathering in this fashion. Below is a photo of my current car prior to it's restoration. The photo was taken in 1988 but the car had been in this state since 1966. It is car number 30542 built November 19 1956 and originally Healey Blue and Ivory White per the Heritage Certificate.